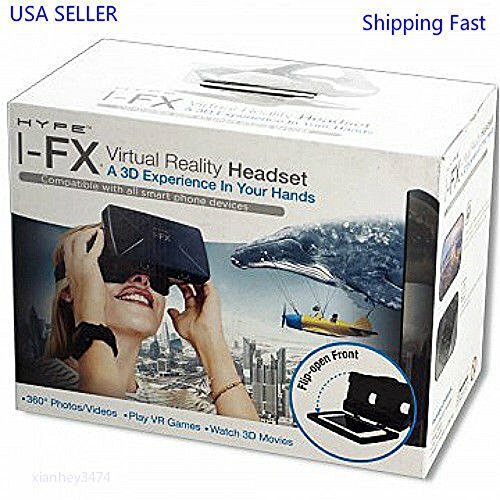 Experience 3D viewing in your hands with this Hype I-FX Virtual Reality Headset featuring a headset that utilizes phone sensors to create 360-degree views. Wide-angle view allows for a true virtual reality experience with the wide variety of apps that are available to use. Watch 360-degree movies and videos and play VR games. 12 suction cups securely hold your phone in place. Simply secure your smart phone with the device mount and experience movies or games in a vivid 360 degree environment. Fits devices up to 3.875 inch wide x 6 inch high. Cell phone with VR compatible app required. If you have any questions about this product by P4 Products, contact us by completing and submitting the form below. If you are looking for a specif part number, please include it with your message.